Here is an extended edit showcasing the Breaking Ice 2012 Contest hosted by Metropolis Comix. The 2011 Pro Team Contest begins NOW!!! Kendama with others in a positive way. This year our contest will be TWO rounds. The finalists from round 1 will advance to the round 2. Kendama. We want to see how Kendama fits into your daily life, and understand why you would be a good Pro. This edit should be approximately 1/3 Kendama tricks, and 2/3 lifestyle. The current Kendama USA Pro Team will judge the winners based on skill level, creativity, and personality. royalties, filming trips, special projects and edits, and a life-changing surprise we have planned for Spring 2012.
very first recipients of our NEW Kendamas, fresh from the factory, before they are available to the public for sale. involved in product development and testing, Kendama USA edits and events, and much more. 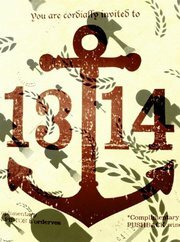 Round 1 begins NOW, and all entries are due by 11:59 PM, NOVEMBER 14th, 2011. 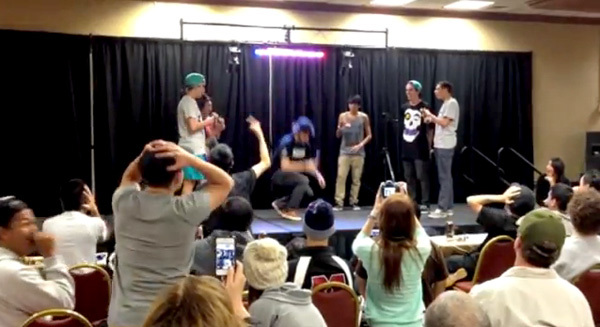 Your edit should be labeled “YOURNAME Kendama USA 2011 Pro Team Contest Entry“. What do you love about Kendama? 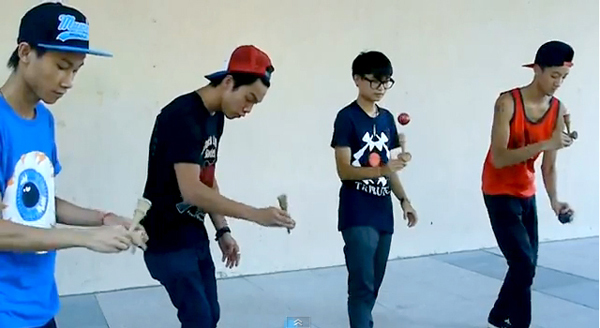 What roll does Kendama play in your life? Why would you be a good pro? submitting to any other email addresses. that who you are as a person is just as important as how good you are at playing. How old do I have to be to enter? There is no age requirement for this contest. time. Just focus on round 1 for now! What should my edit look like? However you want!! You have complete creative control. with your entry, and show us something fresh! Can my edit be 3:30, or 4 minutes, or maybe 5 minutes? THREE MINUTES!!! anything is made public. If you have specific questions regarding this, just email us. chances of winning. We won’t stop you from entering more than once, but we don’t recommend it. Any advice? Have FUN, have FUN, and have FUN!!!!! We can’t wait to see your edits! The next KenGarden battle announced!! Clear your calendars for August 28!! !